Fans are everywhere it seems! They’re critical for everything from cooling a computer’s CPU to keeping us comfortable or even helping with plant grow rooms. It’s honestly amazing how versatile they are. But do you know how to tell which way a fan blows? If not, I’d love to show you how. Once you’ve got the basics down it’s actually not hard at all! In this post I’ll share with you the details you need to do so. Not only that, I’ll help you better understand how fans work along with sharing some helpful facts to know. The great news is that generally speaking it’s easy to tell fan air direction if you know what to look for. Because of how they work (and how most are designed) there are great clues to help. 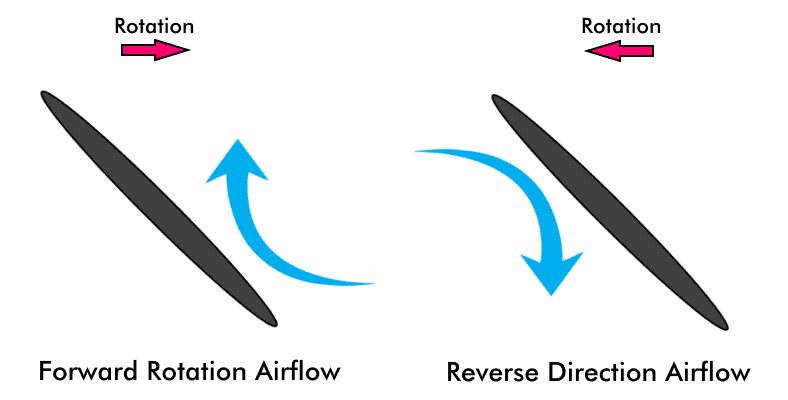 The direction a fan blows air is always determined by (A) the shape of the blades (sometimes called propellers) and (B) the direction they turn. If a blade is angled down and the fan turns in the same direction as the blade angle, it will blow forward. Likewise, if the blade is angled down and the fan turns the opposite direction, the reverse is true. Air will blow in the other direction (towards the back). These two characteristics of a fan are probably the easiest and most common way to tell which way it blows. That’s because a fan always has the same basic design in one form or another: fans use blades that are angled and curved to cut through the air and force it forward or backwards depending on which way they rotate. Here’s an animated image I’ve put together to help show this. In this image you can see exactly what I’m describing: the fan is rotating in the same direction as its blades which are angled downwards. This causes air to blow upwards (to the front of it). If the direction is reversed, the air will go the opposite direction as it would be forced down (to the back). Here’s a great example of how to decide which way a fan blows. This is a common small fan powered by direct current (DC) and used for many electronics cooling applications. Looking at the fan, we can see the angle of the blades and we know that most of these rotate clockwise (the same direction as a clock). Therefore, unless the power polarity is reversed, it will blow air forward. The image above is a great example of a common fan you might run across. By looking at the fan and knowing which way the blades are angled, and knowing that it normally turns clockwise, I can see that it will blow air forward. Of course, if for some reason the fan rotates in the opposite direction (unbeknownst to me) the air would be blown the other way. Fans generally only come in a few basic designs, most of which are axial or centrifugal types. Centrifugal fans normally only blow in the direction of the outlet as shown, while axial fans may be reversible in some cases. While many variations of fans exist, nearly all fall into just a few basic categories as the most important design principles are the same. 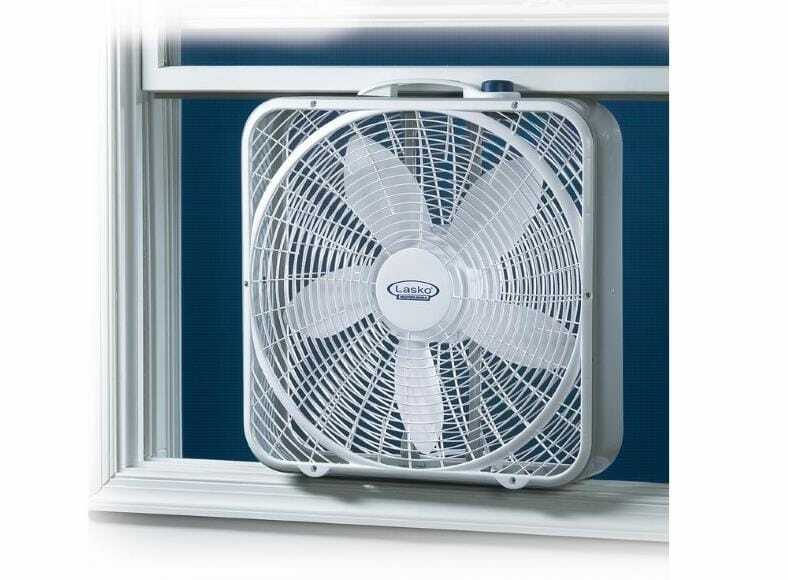 Most common home fans used for cooling like this Lasko 3720 window box fan are designed to blow only one direction: forward. You can see the blade shape in the picture which gives a clue as to this as well. You’ll need to rotate the fan itself to change direction. Fans powered by alternating current (AC) such as common 120V or 220V fans typically can only blow forward. However, direct current (DC) fans can be reversed in many cases. That’s because DC power can change the operation of the electric motor inside the fan, causing the blades to spin in the opposite direction and force air to the rear. An example of some common fans that are marked to show which way air blows. In both cases there are 2 arrows: one to show the direction of rotation, and one to show the air flow direction. 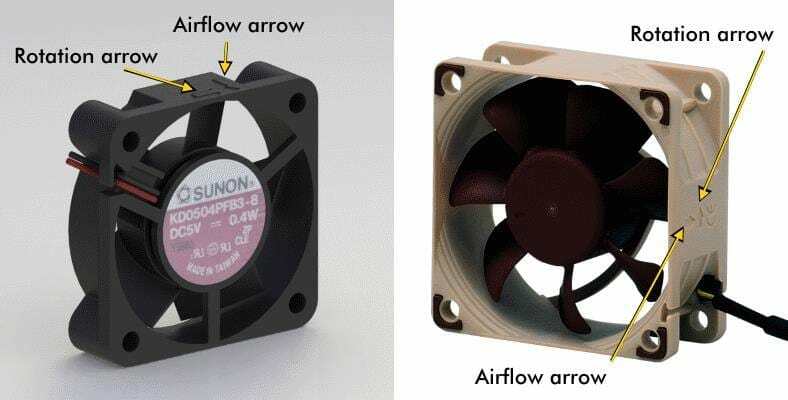 (Left) This fan is the most common type, as it can be mounted backwards if you need to reverse air flow. (Right) This fan is less common but does have some uses where the airflow going to the rear is important. While it’s not as common, some fans do have a marking indicating which way they blow. If you’re lucky enough to find that on one, it makes it even easier to tell! Ordinarily you’ll most likely find this on general-purpose fans like small DC powered fans for electronics cooling. However, from time to time it can be found on others. It’s very helpful to reply on method #1 above. That way you can tell which way a fan blows nearly 100% of the time and especially if one isn’t marked with arrows. Fans are typically not very expensive but are often very cost-effective in many applications. They’re helpful for many common uses and problems, but there may be a few things you don’t know about them. Here are some great fan facts to know. Be sure you’re using fans to improve your quality of life as much as possible! 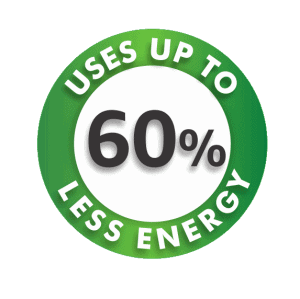 Electric fans can run and help cool you and your room with up to an amazing 60% less power than air conditioning units! That’s because fans don’t need nearly as much electric current to work. Air conditioning (AC) units not only have to power an electric fan but also an energy-thirsty refrigerant compressor motor. That really adds up over time! 2. 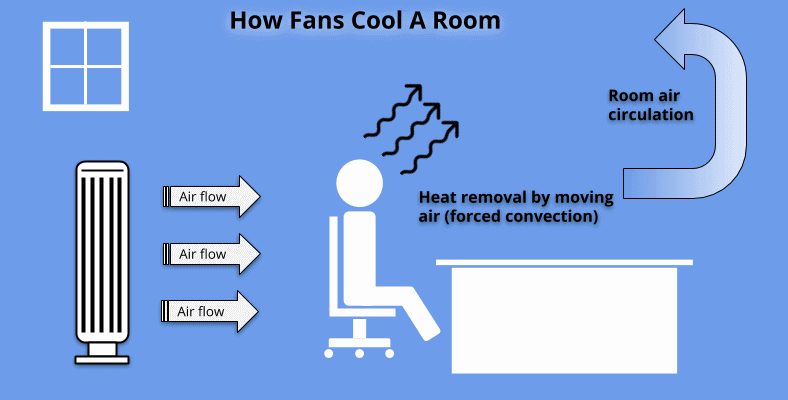 Fans cool you…but don’t actually cool the air! Fans can make you feel cool and comfortable as well as cycling the room’s air to prevent heat from building up. But did you know? They don’t actually work by chilling the air. They work off of the principles known as forced convection. Here’s a cool (no pun intended!) 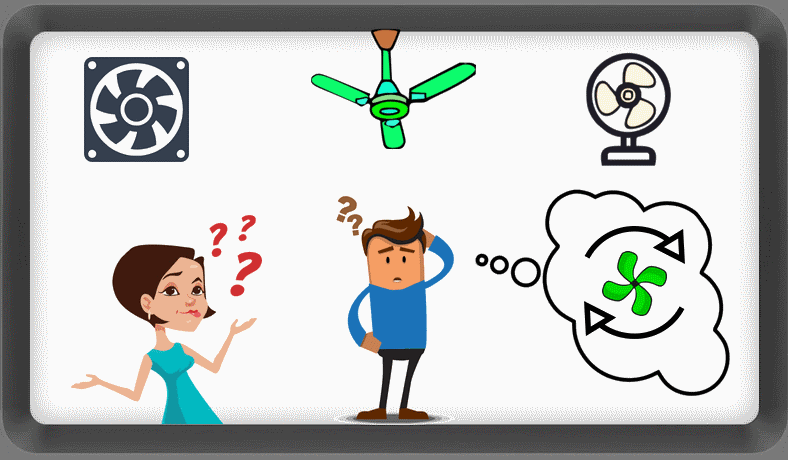 fact – electric fans don’t actually cool a room by dropping the temperature. Air condition units do so by removing heat from the air. Fans achieve a similar feeling by the principle known as forced convection. That just means that fans cool your body and your room by forcing air across surfaces, removing heat from you into the nearby air. They also keep air circulating withing a room, offering a continual effect that makes your more comfortable. Because of that, it’s important to have a well-designed fan with great airflow and especially one with an oscillation feature to move back and forth, covering a large area in a room. 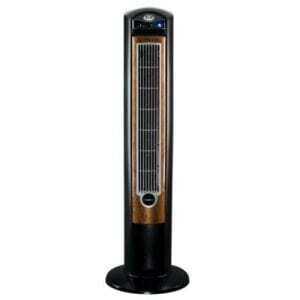 Tower fans are especially designed to produced a comfortable air flow. They’re different than other typical kinds as they produce a tall, vertical area of air and often oscillate (move side to side) to cool a room. Tower fans like the popular Lasko Wind Curve at Amazon are an excellent example of this. 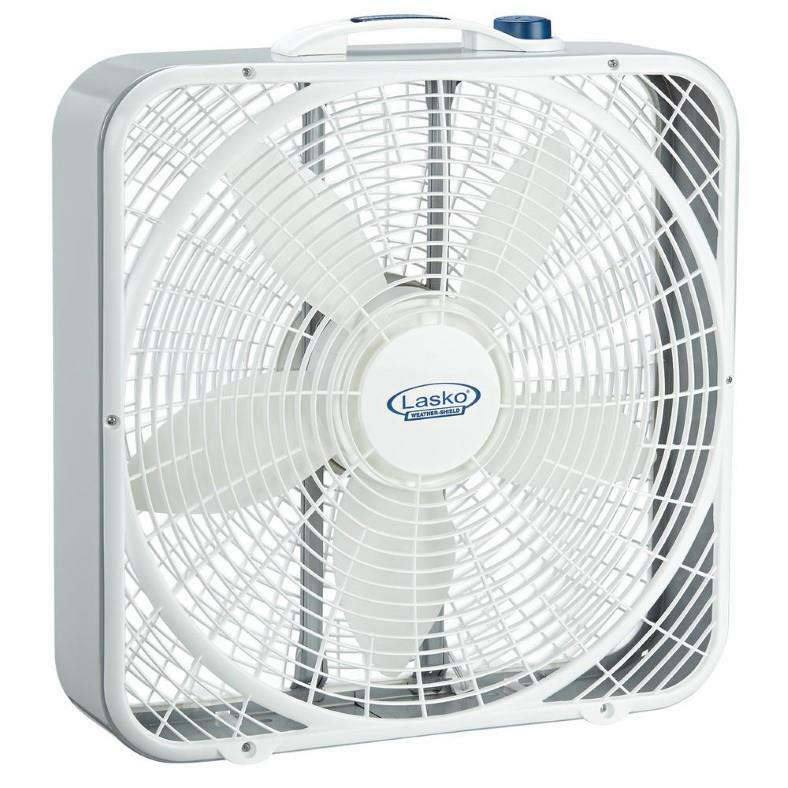 A simple but classic box fan like this popular Lasko 3720 model produces a soothing and calming “white noise” that can improve your quality of life. A side effect of how they operate, the noise “masks” (covers up) outside noises like your neighbors, traffic, people talking, and more. It’s a great and cost-effective way to help you focus, relax, or sleep better. Fans are also very helpful in some cases for blocking outside noises that cause us stress and interrupt sleep, studying, or working. Models that produce a very high air flow rate and introduce a lot of turbulence near them as a side effect can produce a large amount of soothing white noise. Box fans are especially helpful for this. If you’re interested in finding out more, here’s a great post with some of the best box fans for white noise you can buy. Hopefully my post has helped. Do you have suggestions, more questions, or wish I covered some topics in more detail? Feel free to drop a comment below or reach out to me. Want to know how much energy a fan can save? 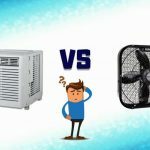 Find out how much electricity an air conditioner uses vs a fan here. Need to cool out? Here’s a helpful post with some of the best tower fans you’ll find today. What Uses More Electricity: AC Or A Fan? See What I Found Out!